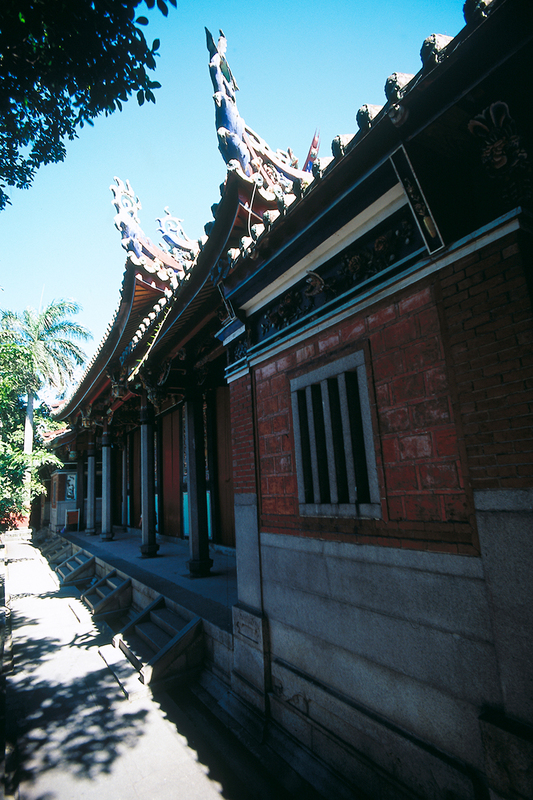 The Taipei Confucius Temple is right across Dalong Street. 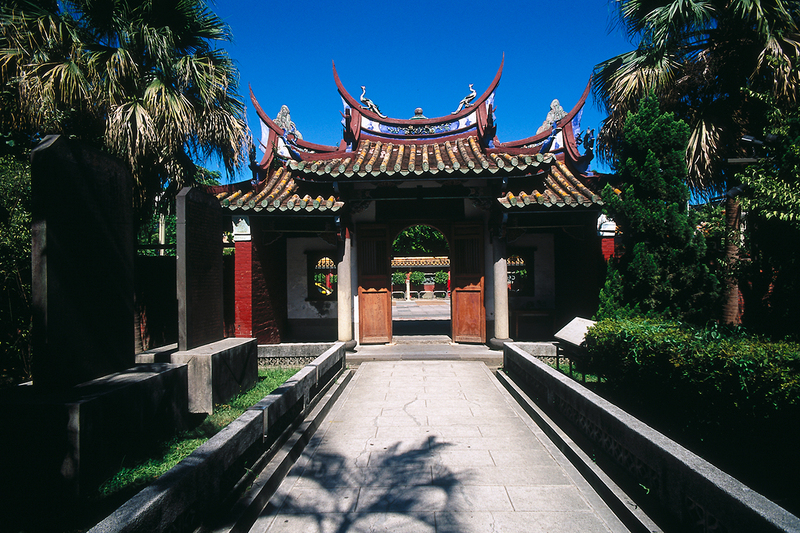 This temple honors one of the greatest philosophers and teachers of all time, Confucius, as well as other philosophers. 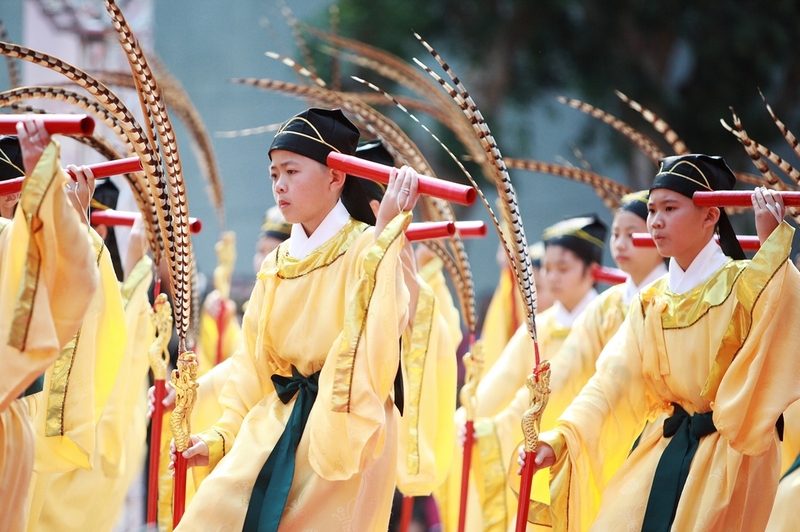 Confucius valued simplicity, and simplicity is the dominant characteristic of his temple. Here you see none of the densely rich decor of many other temples; even the usual stone lions are missing from the entrance. The columns, doors, and windows here are also different, in that they bear no inscriptions. This indicates, it is said, that nobody dares flaunt his literary prowess before the Master. Nor are there any images in this temple. In ancient times, Confucius temples contained images of the Sage, but different craftsman carved them in different likenesses. This lack of uniformity upset Emperor Tai Tsu (reigned 1368 A.D.) of the Ming dynasty, who decreed that all new Confucius temples would henceforth contain only memorial tablets and no images. Later on, during the reign of emperor Shi cong (1522-1586), it was decreed that all existing images of Confucius be replaced with memorial tablets. This rule is still followed today. Standing outside of Dacheng Hall, the main hall of this temple, you can see a pair of upright cylinders in the center of the roof. These are called book-hiding barrels, and there is a story behind them. In ancient times, the first Emperor (reigned 246-214 B.C.) of the Qin dynasty wanted to keep his people illiterate so that they would not challenge his rule; he had books burned and scholars killed. To save their beloved books, students hid them in rooftop containers built to look like chimneys. Nat'l Hwy 1 → Taipei Interchange → Sec. 3, Chongqing N. Rd. → Minzu W. Rd. → Dalon St.